A nightmare commonly shared by property owners is that of an erring tenant unwilling or unable to pay the rent as agreed on the due date. This is simply because real estate is as much a business entity as a commercial bank. Many Landlords cannot resist the need for self-help at the perception of this would-be-insipient and unfortunate dream. To be sure the court frowns at a Self-Help, as seen in Hemmings V. Stoke Poges Gulf Club Ltd[i], Scrutton LJ stated clearly that “…when the grievance complained of is the removal by no more force than is necessary of a trespasser and his property from the premises which the landlord has a right to enter for the purpose, the justification covers not only the entry but the forcible expulsion which is the object of the entry and which makes the entry a forcible one”. Lord denning was more decisive when he reaffirmed the above view in the case of McPhail v. Persons Unknown[ii] “if (a tenant) remains in possession (after the expiration of his tenancy) there is high authority for saying that the owner is not entitled to take the law into his own hands and remove the tenant by force. He should go to the court and get an order for possession”. The Nigerian courts pay tribute to this reasoning. In the case of Oni v. Dada[iii] where a tenant breached the terms of his tenancy agreement, his landlord wrote to him of the determination of the tenancy forthwith and shortly after, let the premises to a third party who trespassed into the premises. The court held that the breach of covenant on the part of the tenant did not in any way justify the rapid trespass in the premises. Recovery of premises is a delicate one. Because the law is natured to protect the weakest party in its bid to do justice. In a recovery of premises matter, the court is seen to weigh matters so as not to render a tenant suddenly homeless. The weaker party is prima facie the tenant. An act of self-help usually enrages the court and serves to frustrate the landlord in the event that such tenant is fully aware of his legal right and applies it at the slightest infraction. Usually the rights of a tenant asides the content of a tenancy agreement, statutorily includes freedom from encumbrance and quiet possession. Once this statutory rights are challenged without an order for possession at the palm of the Landlord, it is deemed an act of self-help. The standard procedure for recovery of premises should be followed by all property owners. The following paragraph will discuss these in detail. The Landlord should contact an attorney who is sound in recovery of premises law, and authorize him in writing to act on his behalf in the recovery process. This is a very important notice and so because without it, no Landlord can bring an action in court for an order to recover possession. It is pertinent to note that this Notice unlike a ‘Notice to quit’ has a 7-day life span. According to J. 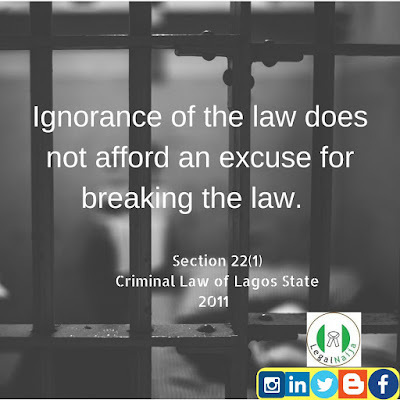 A Agaba[iv] “it would appear that the use of the phrase ‘the tenancy shall lapse and the court shall make in order for possession and arrears of rent’ used severally in section 13 of the tenancy law (of Lagos) does not obviate the need for this notices. After the notice of quit has expired, the notice of the owner’s intention refers to the landlord as the owner and no more as the landlord because at the time of serving of the 7-day notice it is deemed in law that by the ‘Notice to quit’ the tenancy has been further determined. the tenant is to be served with the processes personally by the court sheriff. However, where it appears that he is trying to evade service, an application can be made to apply a substituted service process. In conclusion, a tenant is protected by law until the landlord can prove that He has done the needful in evicting the former. The protection supplied to the tenant earns Him the name of a “Statutory Tenant” the moment the landlord result to court action and until the order for possession is issued. In other words, aperson becomes statutory tenant by operation of law the moment his tenancy is determined but the order for possession has not be handed to the landlord. 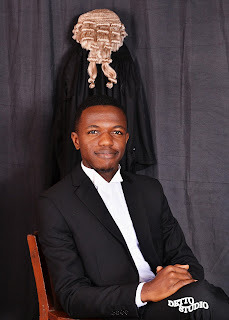 Some tenant abuse the leniency of the court by counterclaiming and appealing until te landlord becomes knocked out by frustration, this was the sad fact in the case of Ap V. Owodunni[v] where a tenant refused to give up possession for 14 years but instead resulted to sinister ways to frustrate the legal process for eviction. At this junction it is pertinent to give alternative dispute resolution a chance in sensitive issues like this. Over the years, the landlord has been observed as becoming the weaker party and must tread carefully on this issue of repossession. Whereas, Alternative dispute resolution is fast, seamless and cost effective in the long run. It aims at bringing the party to a consensus, it could take the form of a win-win format or a win-lose format at the core, it aims to solve the problem without unnecessary earth tremors. Landlord should please consult a lawyer on matters concerning recovery of possession, and tenants should do the same.